Is Amazon Opening More Brick-and-Mortar Bookstores? Is it possible that a bookstore clerk once dreadfully wronged Jeff Bezos? 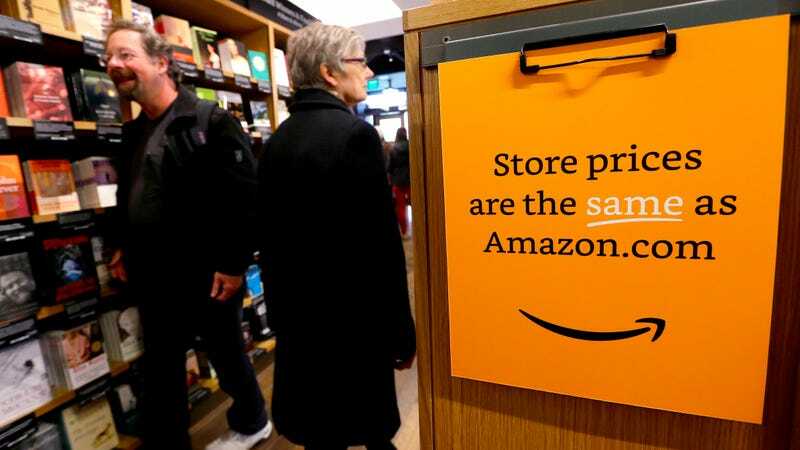 Because a rumor that Amazon might open more IRL, brick-and-mortar bookstores threw everyone into such a tizzy that it seems worth asking whether this has been some Count of Monte Cristo situation all along. The Seattle company plans to open as many as 400 bookstores, Sandeep Mathrani, chief executive of mall operator General Growth Properties Inc., said on an earnings call on Tuesday. Chief Executive Officer Sandeep Mathrani has indicated that a statement he made concerning Amazon during GGP’s earnings conference call held on February 2, 2016, was not intended to represent Amazon’s plans. Bet that was a fun phone call. Maybe Mathrani fucked up. Or maybe Bezos leaked this little tidbit of misinformation specifically to give some anonymous book-selling nemesis the vapors. Just seems like a possibility we should entertain.